Section I. Data mining in pharmaceutical industry: a general overview. Chapter 1. A History of the Development of Datamining in Pharmaceutical Research (David J. Livingstone and John Bradshaw). 1.4. Data Storage and Manipulation. 1.6. Characterising Molecules and QSAR. 1.7. Drawing and Storing Chemical Structures. Chapter 2. Drug Gold and Data Dragons. Myths and Realities of Data Mining in the Pharmaceutical Industry (Barry Robson and Andy Vaithiligam). 2.1.1. A Period of Transition. 2.1.2. The Dragon on the Gold. 2.1.3. The Pharmaceutical Industry is an Information Industry. 2.1.5. The Available Information in Medical Data. 2.1.7. The Information in Complexity. 2.1.8. The Datum, Element of Information. 2.2. Probabilities, Rules, and Hypotheses. 2.2.1. Semantic Interpretation of Probabilities. 2.2.2. Probability Theory as Quantification of Logic. 2.2.3. Comparison of Probability and Higher Order Logic Perspective Clarifies the Notions of Hypotheses. 2.3.1. Mythological Constellations Can Appear in Projection. 2.3.2. The Hunger for Higher Complexity. 2.3.3. Does Sparseness of Data Breed Abundance of Pattern? 2.3.4. Sparse Data Can in Context be Strong Data, when Associated with Contrary Evidence. 2.4.1. Lack of Contrary evidence Breeds Superstition and Mythology. 2.5. Some Problems of Classical Statistical Thinking. 2.5.1. Statistical Myth 1. Classical Statistics is Objective, against the Yardstick of Bayesian Thinking Which is Subjective. 2.5.2. Statistical Myth 2. Ho the Null Hypothesis. 2.5.3. Statistical Myth 3. Rejection and the Falsifiability Model. 2.5.4. Statistical Myth 4: The value of P(D | Ho ) is Interesting. 2.5.5. Statistical Myth 5. The value of P(Ho | D) is Interesting. 2.5.6. Statistical Myth 6. Rejecting the Null hypotheses is a Conservative Choice. 2.6. Data Mining versus the Molecule Whisperer Prior Data D*. 2.6.1. The Two Edged Sword. 2.6.2. Types of Data Mining Reflect types of Measure. 2.6.4. D* and the Filtering Effect. 2.6.5. No Prior Hunch, No Hypothesis to Test. 2.6.6. Good Data Mining is not Just Testing of Many Randomly Generated Hypotheses. 2.7.2. It is Useful to Have Rules in Information Theoretic Form. 2.7.3. A Predicate Calculus under Uncertainty. 2.9.3. Global invariance of Complex Descriptors. 2.9.4. Peptide and Protein Structures. 2.9.5. Mining Systems Biology Input and Output. Chapter 3. Application of data mining algorithms in pharmaceutical research and development (Konstantin V. Balakin). 3.2.1. 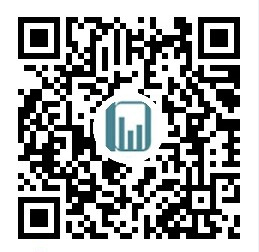 Analysis of HTS data. 3.2.3. Assessment of ADME/Tox and physico-chemical properties. 3.5. Data mining methods in clinical development. Chapter 4. Data Mining Approaches for Compound Selection and Iterative Screening (Martin Vogt and Jürgen Bajorath). 4.2. Molecular Representations and Descriptors. 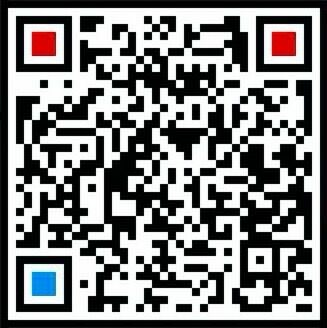 4.4.1. Predicting the performance of Bayesian screening. Chapter 5. Prediction of toxic effects of pharmaceutical agents (Andreas Maunz and Christoph Helma). 5.4.4. Instance-based techniques (local models). 5.5. Combination of (Q)SAR steps. 5.6.1. Definition and purpose of Applicability Domains. 5.6.2. Determination of Applicability Domains. Chapter 6. Chemogenomics-based design of GPCR-targeted libraries using data mining techniques (Konstantin V. Balakin and Elena V. Bovina). 6.2. Data mining techniques in the design of GPCR-targeted chemical libraries. 6.3. Mining the chemogenomics space. 6.3.2. Technologies based on annotated databases. 6.3.3. Chemogenomics-based design of GPCR ligands. 6.4. Chemogenomics-based analysis of chemokine receptor ligands. 6.4.1. Mapping the chemogenomic space of GPCR ligands. 6.4.3. Similarity across the Chemokine receptor superfamily. Chapter 7. Mining High-throughput Screening Data by Novel Knowledge-based Optimization Analysis (S. Frank Yan, Frederick J. King, Sumit K. Chanda, Jeremy S. Caldwell, Elizabeth A. Winzeler, Yingyao Zhou). 7.2. KOA Algorithm-Concept, Validation, and Its Applications in Target Identification. 7.2.1. KOA Analysis for High-throughput siRNA Function Screening. 7.2.2. Experimental Validation of KOA by Genome-wide siRNA Screening. 7.2.3. KOA for In Silico Gene Function Prediction. 7.3. Applications of the KOA Approach in Small Molecule HTS Data Mining. 7.3.1. Scaffold-based HTS Compound Triage and Prioritization for Improved Lead Discovery. 7.3.2. Identify Promiscuous and Toxic Scaffolds by Mining Multi-assay HTS Database. 7.4. Other Related Approaches for Biological Data Mining. 7.4.2. Iterative Group Analysis Algorithm. 7.4.3. Gene Set Enrichment Analysis. Chapter 8. Mining DNA microarray gene expression data (Paolo Magni). 8.2.3. Sample preparation, labelling and hybridization. 8.2.4. From arrays to numbers: acquisition and preprocessing. Chapter 9. Bioinformatics approaches for analysis of protein-ligand interactions (Munazah Andrabi, Chioko Nagao, Kenji Mizuguchi and Shandar Ahmad). 9.3. Representation and visualization of ligands. 9.4. Identifying interactions from structure. 9.5. Identifying interactions from in-vitro thermodynamic data. 9.6. Thermodynamic databases of protein-ligand interactions. 9.7. Data analysis and knowledge generation. 9.9. Simulations and molecular docking. 9.10. High Throughput Docking (HTD). Chapter 10. Analysis of Toxicogenomics Databases (Lyle D. Burgoon). 10.2. Toxicogenomic Databases and Repositories. 10.2.1. Toxicogenomic Information Management Systems. 10.3.1. Regulatory Guidance from the US FDA and US EPA. 10.4. Data Extraction and Data Mining. 10.5. Is a TIMS Right For You? Chapter 11. Bridging the Pharmaceutical Shortfall: Informatics approaches to the discovery of Vaccines, Antigens, Epitopes, and Adjuvants (Matthew N. Davies and Darren R. Flower). Section IV. Data Mining Methods in Clinical Development. Chapter 12. Data mining in pharmacovigilance (Manfred Hauben and Andrew Bate). 12.2. The Need for Post marketing Drug Safety Surveillance. 12.3. The Relationship Between Data Quantity and Quality. 12.4. Signal Detection-The Front Line of Pharmacovigilance. 12.4.2. Signal Detection in PhV. 12.5. Targets, Tools and Datasets. 12.6. The Sample Space of Adverse Events. 12.8. The Anatomy of Spontaneous Reporting System Data Bases. 12.9. Methods in Drug Safety Surveillance. 12.10. Traditional Approaches to Drug Safety Surveillance. 12.12. Classical or Frequentist Approaches. 12.12.1. Overview: The Bayesian Approach. 12.12.2. The Principle Bayesian Methods: BCPNN and MGPS. 12.12.3. The Principle Bayesian Methods: BCPNN and MGPS. 12.13. Evaluating and Validating Data Mining Performance in Pharmacovigilance. 12.15. The need for complex methods. Chapter 13. Data-mining methods as tools for predicting individual drug response (Sabbagh Audrey and Darlu Pierre). 13.1. The promise of pharmacogenomics. 13.2.2. Interactions between pharmacokinetic factors. 13.2.3. Interactions between pharmacokinetic and pharmacodynamic factors. 13.3. Identifying useful marker combinations for the prediction of individual drug response. 13.3.2. The need for higher-order computational methods. 13.4. Data-mining tools available to predict individual drug response from genetic data. 13.5. Applications of data-mining tools in pharmacogenomics. 13.5.1. Development of pharmacogenomic classifiers from single-nucleotide germline polymorphisms. 13.5.2. Development of pharmacogenomic classifiers from gene expression data. Chapter 14. 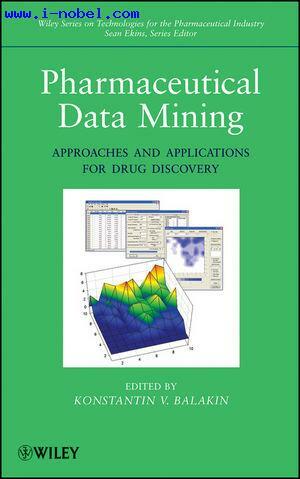 Data mining methods in pharmaceutical formulation (Raymond C. Rowe and Elizabeth A Colbourn). 14.3.1. Tablet formulations (Immediate release). 14.3.2. Tablet formulations (Controlled release). Chapter 15. Dimensionality reduction techniques for pharmaceutical data mining (Igor V. Pletnev, Yan A. Ivanenkov and Alexey V. Tarasov). 15.3. Linear Techniques for Dimensionality Reduction. 15.4. Nonlinear Techniques for Dimensionality Reduction. Chapter 16. Advanced methods of artificial intelligence in the design of pharmaceutical agents (Yan A. Ivanenkov and Ludmila M. Khandarova). 16.2. Advanced Computational Techniques for Chemical Data Mining. Chapter 17. Databases for chemical and biological information (Tudor I. Oprea, Liliana Ostopovici-Halip, Ramona Rad-Curpan). 17.2. Database management systems for Chemistry and Biology. 17.3. Informational Structure of Bioactivity Databases. 17.3.7. Integration with other databases. 17.4. 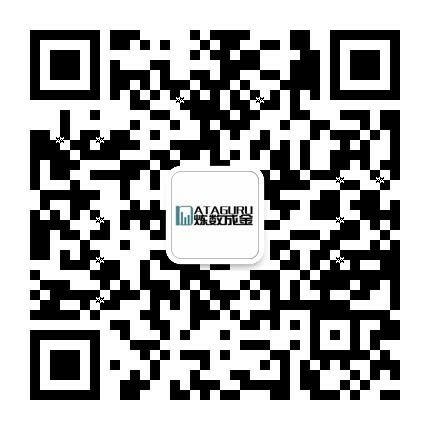 Available Biological and Bioactivity Databases. Chapter 18. Mining Chemical Structural Information from the Literature (Debra L. Banville). 18.1.1. Missed information costs time and money. 18.1.2. Issues of drug safety require better information management capabilities. 18.2. Different needs, different challenges and the call for standardization. 18.2.1. The ultimate backend solution is universal standards, especially for chemical and biological information. 18.2.2. Main driver for standardization with life science literature is drug safety. 18.3. Current methodologies for converting chemical entities to structures. 18.3.1. Multiple types of naming schemes, require diverse set of conversion capabilities. 18.3.2. Systematic chemical name to structure conversion. 18.3.3. Unsystematic chemical name look-up. 18.4. Representing chemical structures in machine-readable forms. 18.4.1. The language of e-Chem: InChI's, Smiles, CML and more. 18.5. Building context with NLP today. 18.6. A vision for the future. 18.6.1. Crossing from Chemistry into Biomedical Space with chemically mined information. 18.6.2. Text Mining is about the generation of new knowledge. GMT+8, 2019-4-22 18:29 , Processed in 0.133923 second(s), 55 queries .